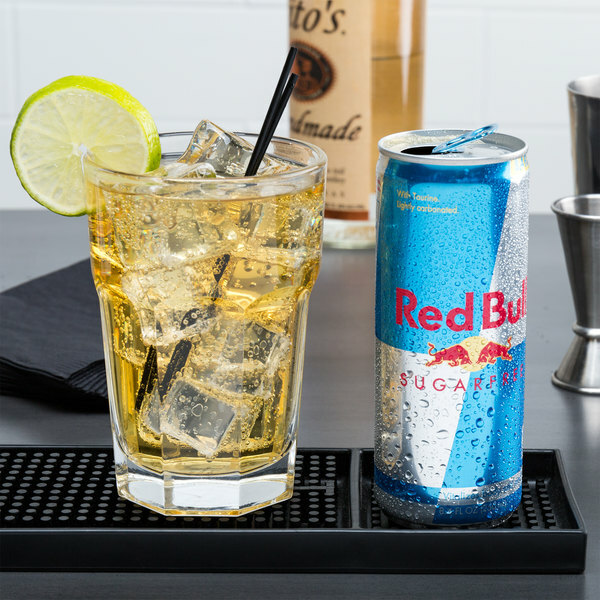 Refresh, recharge, and help revitalize your patrons with this sugar free Red Bull energy drink. Red Bull is a classic energy drink that is widely recognized and enjoyed by many. This beverage has been carefully crafted with high quality ingredients rich in vitamins and amino acids, plus caffeine to boost your patrons and your sales! 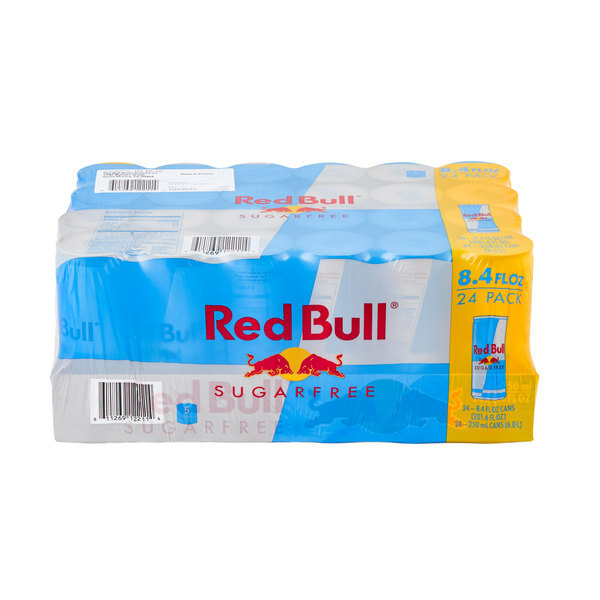 This beverage boasts the same great flavor as original Red Bull, just without the sugar! With a subtly sweet and uniquely refreshing flavor, Red Bull not only quenches thirst, but it also gives individuals an energizing lift. This energy drink comes packaged in a case of 24 cans, making it ideal to sell individually or by the pack. Place individual cans in an open air merchandiser or reach-in refrigerator for a cool, on-the-go beverage at your gym, cafeteria, or concession stand. These 8.4 oz. cans also make for a great mixer for bold drinks your customers will be sure to love, including a mean green lantern, Red Bull and vodka, or bomb shots at your restaurant or bar! With over 30 years of experience, Red Bull produces beverages with high quality products designed to give a boost to the mind and body. 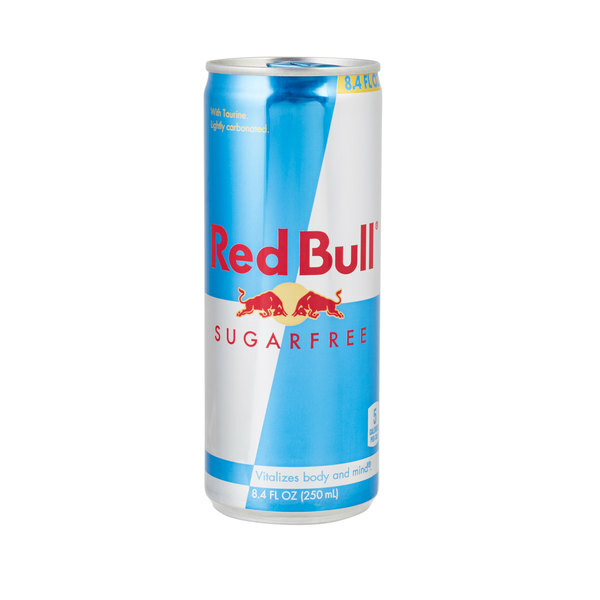 When Red Bull first hit the shelves in the mid 1980s, it was the first energy drink of its kind. It inspired a plethora of other brands to create their own versions, but Red Bull remains among the most recognized. 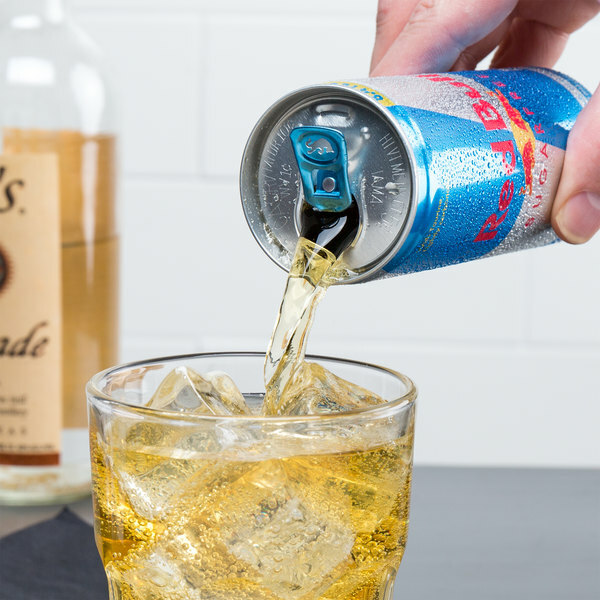 Now available in more than 170 countries, Red Bull remains a fan favorite. I love that Red Bull energy drink case of 24 has a sugar free option. We often get requests from our customers for sugar free energy drinks. It still has a really great taste. I drink Red Bull on a regular basis. I live the drinks flavor and the energy I get from it but I like having a sugar free option.